The Institute for Best Practices is part of the UNC Center for Excellence in Community Mental Health within the UNC-Chapel Hill Department of Psychiatry. The formation of the Institute emerged from several sources. 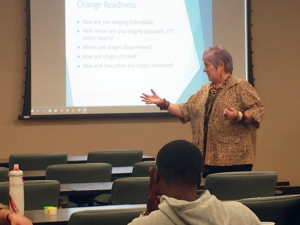 We are working closely with the NC Department of Health and Human Services to help with high-fidelity implementation of Assertive Community Treatment (ACT) and Individual Placement and Support Model of Supported Employment (IPS). ACT has been available in North Carolina for over 15 years, but there had not been routine fidelity monitoring. First-time implementation of IPS occurred in North Carolina in 2013. As the co-author of the TMACT, Dr. Lorna Moser (Institute Director) has a long history providing training, consultation, and evaluation services across the United States and abroad. 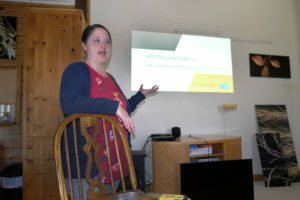 A grassroots group of ACT providers, forming the North Carolina ACT Coalition, has served as a constant advocacy group and learning collaborative. Institute staff have long been involved with the Coalition, coordinating and leading efforts to expand and direct this awesome grassroots group. 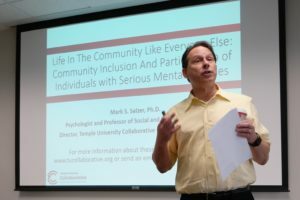 The UNC Center for Excellence in Community Mental Health provides a range of innovative and empirically-supported programs and practices, creating a unique environment where we practice what we preach and teach. We are also tied to mental health services researchers to maintain constant effectiveness evaluation efforts.